Wow, it’s sooo wonderful to hear this testimony of AUTHENTIC organic church life! 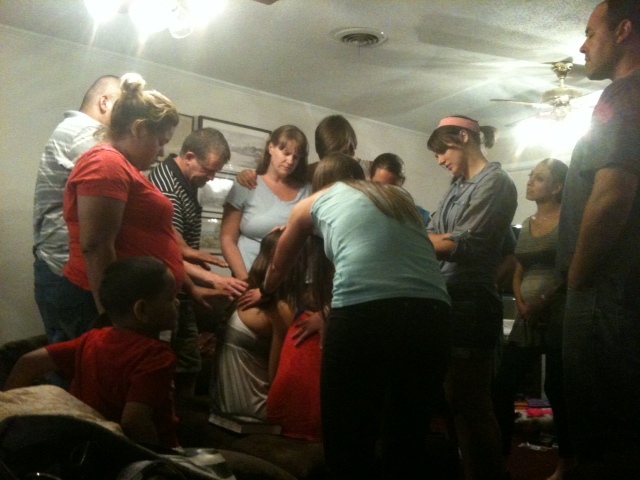 You are truly blessed to be able to express Christ’s life in this manner with like minded people! Yes, it’s a huge privilege. Many of the people who come are new Christians which is a great blessing and part of why I believe we are seeing so many answers to prayer. Thankfully after many years in the wilderness, I DO know what you mean. Our group has had many glorious times like this, and we have seen healing on a number of occasions. It is Spirit directed and no single one of us have attempted to conduct anything or make it happen, it’s spontaneous, natural and full of love. Thanks for sharing Felicity. Your phrase, “spontaneous, natural and full of love” describes it perfectly. The only problem is that times like this spoil one for anything else.